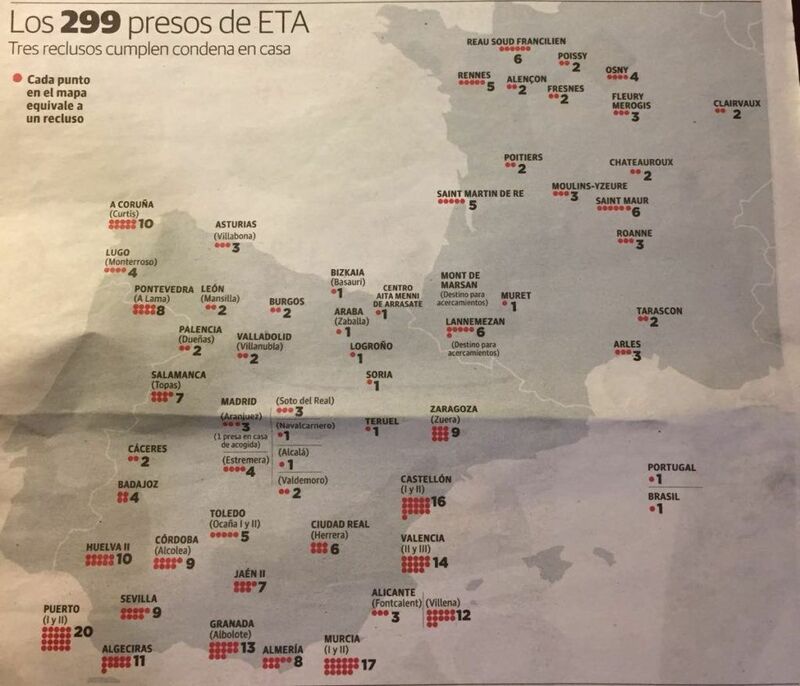 Above is a map of the prisoners of a former Basque terrorist group and where they are currently in prison. To the casual observer, this may not seem like a big deal, but by Spanish law, prisoners are supposed to be in the prison closest to their family (which would be somewhere in the middle by Bizkaia and Araba). As you can see, they are as far away as possible which creates a lot of tension in the Basque Country. Today would you pray for reconciliation and pray for these prisoners that they would find Jesus and that he would set their hearts free.